I have to add Angelic Bakehouse bread to Food Run Fix. It's a Wisconsin business located In Cudahy; I'm pro-Wisconsin because I live here, of course, so I'm interested! 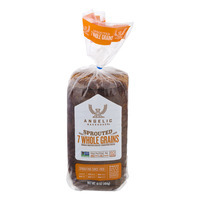 The bakery uses sprouted non GMO grains to make their products. The bread is prevalent at Woodman's West or East. 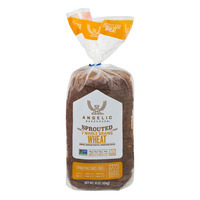 What is a sprouted grain? 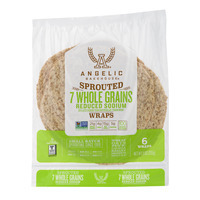 A sprouted grain is young whole grain wheat whisp from seed to just the beginnings of a plant. 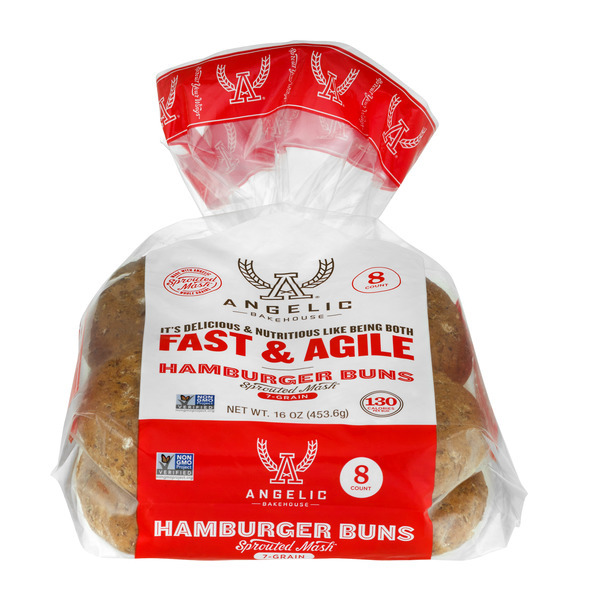 That whisp is harvested and freshly used in baked goods like Angelic Bakehouse makes. 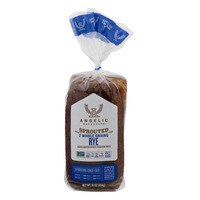 Why sprouted grains? What makes them better then a traditional harvested mature wheat? The best explanation that I can understand is that the sprouted grains have a higher nutrient count then mature wheat. 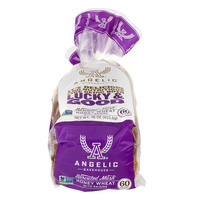 That means a healthier bread for you and I and perhaps an easier digested product for gluten intolerant sufferers. "Non Gmo Project Verified. 12g Whole Grains, 3g Fiber, 9g Net Carbs, 4g Protein. 60 Calories Per Slice." "Non Gmo Project Verified. 14g Whole Grains, 3g Fiber, 11g Net Carbs, 4g Protein. 70 Calories Per Slice." "Non Gmo Project Verified. 14g Whole Grains, 3g Fiber, 10g Net Carbs, 4g Protein. 70 Calories Per Slice." "Non Gmo Project Verified. 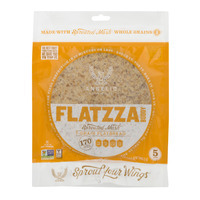 15g Whole Grains, 2g Fiber, 12g Net Carbs, 3g Protein. 60 Calories Per Slice." "Non Gmo Project Verified. 33g Whole Grains, 3g Fiber, 19g Net Carbs, 6g Protein. 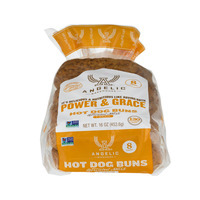 130 Calories Per Bun." "Non Gmo Project Verified. 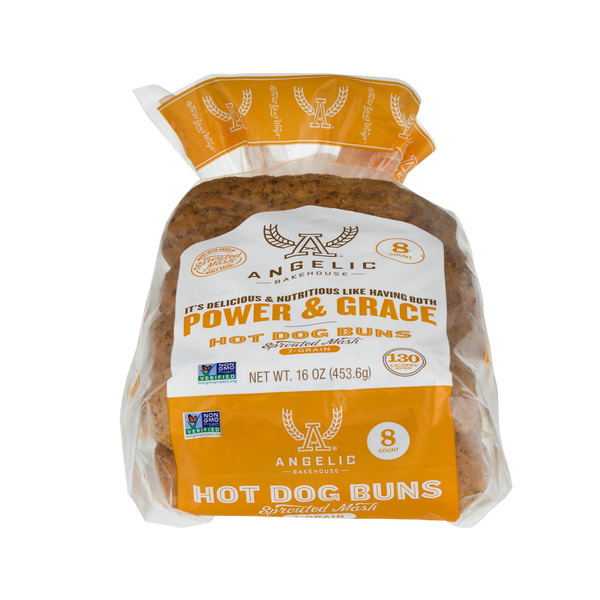 20g Whole Grains, 4g Fiber, 15g Net Carbs, 5g Protein. 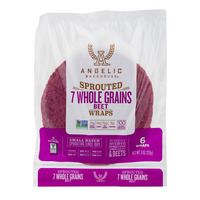 110 Calories Per Wrap." "Non Gmo Project Verified. 26g Whole Grains, 5g Fiber, 19g Net Carbs, 5g Protein. 140 Calories Per Serving." "Non Gmo Project Verified. 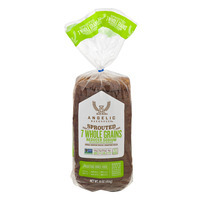 21g Whole Grains, 4g Fiber, 15g Net Carbs, 5g Protein. 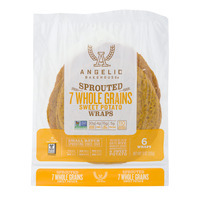 100 Calories Per Wrap." "Non Gmo Project Verified. 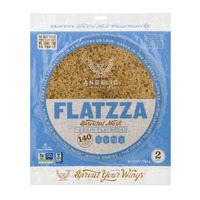 20g Whole Grains, 4g Fiber, 14g Net Carbs, 5g Protein. 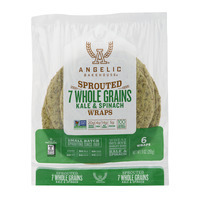 100 Calories Per Wrap." "Non Gmo Project Verified. 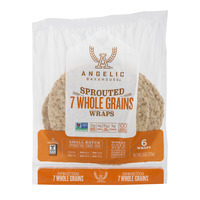 29g Whole Grains, 5g Fiber, 22g Net Carbs, 6g Protein. 170 Calories Per Serving." "Non Gmo Project Verified. 14g Whole Grains, 3g Fiber, 10g Net Carbs, 4g Protein. 60 Calories Per Slice."